Following the resignation of Gov. John Rowland in 2005, Connecticut became only the third state in the nation to sign into law a public financing system for statewide and legislative campaigns. Now, 10 years later, with more than $80 million spent since the programs implementation in 2008, the NBC Connecticut Troubleshooters found the majority of the money granted to Democratic State House and Senate candidates is going to only a handful of politically connected consultants, some with family ties to the legislature. State Election Enforcement Commission filings show $10-12 million is split between the parties every two years on legislative races. In primary and general election races in 2014, $5.7 million was granted to a total of 60 Republican and Democratic Senate candidates. Thirty-four were Democrats and 26 were Republicans for a participation rate of 83-percent, according to the SEEC. In the State House, 134 Democrats and 103 Republicans received grants at an 85-percent participation rate. Out of the money spent, roughly 50-percent of all Democratic House and Senate candidates spent their taxpayer-funded grant money with only four consulting firms: CCM & Company out of West Hartford, a partnership between the Vinci Group and Farina Consulting in Manchester, DNA campaigns out of New Haven, and Berlin Rosen, from New York City. CCM & Company is operated by Christian Murray, who first started working for the Democratic House Caucus in 1998 designing direct-mail pieces. As the preferred vendor for House Democrats in 2014, he took in nearly $1 million by consulting for 71 campaigns, 64 of them in the House. Murray says the task of managing all those campaigns is all in the planning. He argues direct mail is the only way to guarantee a candidates message gets to their targeted audience. He says the great majority of the $935,000 his company was paid went to printing, production and postage. The second highest paid vendor in 2014 was a company owned by now former state representative Geoff Luxenberg, who chose not to seek re-election in 2014 to allow his wife Kelly to run and win the seat. While a sitting legislator, Luxenberg’s Vinci Group, in partnership with Farina Consulting, took in more than $800,000, mostly legislative races. Luxenberg isn’t the only office holder or family member of a sitting legislator to be paid hundreds of thousands of dollars off the system. Greg Gerratana and his wife Jessica have received more than $1 million worth of business since the program was implemented in 2008. They are the son and daughter-in-law of State Sen. Terry Gerratana. Greg Gerratana partnered with Christian Murray in 2012, earning more than $430,000. This year, his wife Jessica’s company, Total Graphic Solutions, took in more than $250,000. The company was paid nearly $700,000 from statewide and legislative races in 2010. Luxenberg, the Gerratanas, Democratic House and Caucus leadership all declined to speak on the record. Sitting office holders are skittish about talking on the record, but State Rep. David Alexander, a Democrat from Enfield, says the distribution of money to consultants needs to be broadened. When asked if he ever felt pressured to go with a certain consultant, Alexander says no but that he was "encouraged" to hire the caucus' preferred vendor. The program has not been scandal free, but advocates say the protections are in place to catch it. Last month, the former Republican House chief of staff pleaded guilty to charges he received kickbacks for steering House GOP money to a direct mail firm in Florida. The indictment came after a nearly year-long investigation by the U.S. Attorney's Office Public Corruption Task Force. The State Elections Enforcement Commission is the state’s independent watchdog overseeing elections. Executive Director Michael Brandi says while family members of candidates are prohibited from making money on their relatives’ races, there is nothing in the law that forbids family members from consulting for colleagues. "The idea of hiring certain individuals or companies to run their campaigns is a real strategic decision for the campaigns," said Brandi, who runs an office of 35 staffers. "But, it’s certainly something that, by the nature of coordination laws, we are concerned with and something we’re keeping an eye on." Adam Joseph, spokesperson for the Senate Democrats, says the process of becoming a preferred vendor begins with companies sending in requests for proposals. "Our candidates then go back and review the proposals and interview the firms interested in working with them to determine who they would work best with and which teams bring the most to the table in terms of value for the dollar," said Joseph. He added that the decision on who to choose as a consultant is an independent process for each candidate. The Citizens' Election Program allows candidates to individually qualify for tens of thousands of taxpayer dollars set aside to fund statewide and legislative campaigns. It promised to level the playing field for challengers seeking office while removing special-interest money from the process. How it works for legislative races is that any candidates for the 36 state Senate seats would qualify by raising $15,000, the majority needing to come from their district with no donation to exceed $100 dollars. Once qualified, they receive $35,000 dollars for a primary, $94,850 for the general election. For the 151 state representative races, candidates qualify by raising $5,000 in donations under $100. They receive $10,000 from the state for the primary, $27,500 for the general election.The grants differ for "party-dominant" districts. 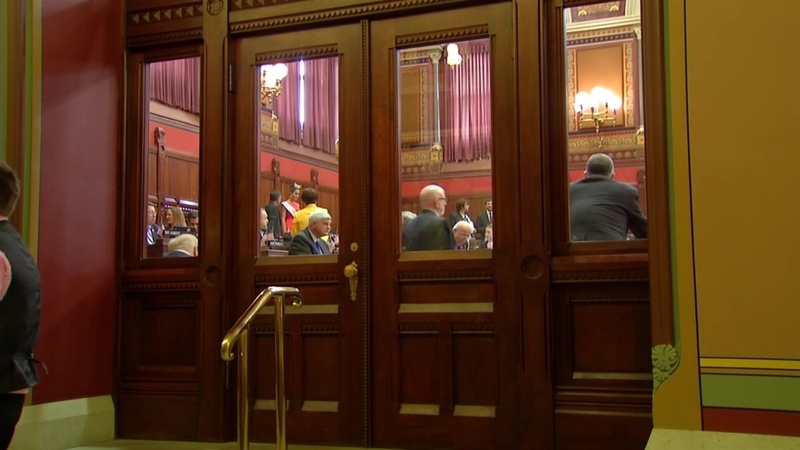 Tom Swan, executive director of the Connecticut Citizens Action Group, worked on the front lines of getting this bill passed and believes the program could use some tweaking but has been a "smashing success." "We look at greater diversity within the legislature, we look at even younger people being run to win, we look at policy outcomes and see where the legislature has had the courage to enact a number of policies they wouldn’t have had with the influence of big money special interest," said Swan. Senate Minority Leader Len Fasano is one of the four Republicans who voted in favor of the bill in 2005. He says he still believes in the idea of public ally funded campaigns but believes the bill needs to be scrapped and rewritten. "As far as where the money goes, nobody knows. You give it to a candidate and you have no idea what the candidate is going to do with that money," said Fasano. His Republican counterpart in the House, Minority Leader Themis Klarides, says she was never in favor of taxpayers paying for campaigns. "I think the people of the state have to say, 'What are you promising us and are you going to live up to your end of the bargain?'" said Klarides. "There are loopholes, rules and laws being broken in this and that’s not what the citizens were promised in relation to their money." Reporter George Colli was a candidate for Connecticut Senate in 2008 and participated in the clean elections program.